As a professional concrete batching plant producer, we can provide high-quality products and professional suggestions. 1. Before starting the double shaft concrete mixer, check whether the space between the rotating parts and cylinder is appropriate. Adjust it in time if the space is inappropriate. 2. Clean up the debris in the mixing drum. 3. 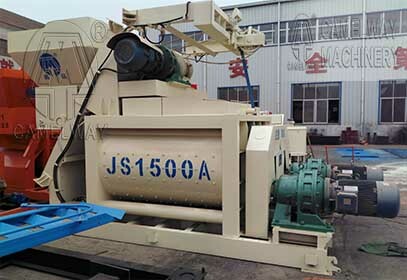 The machine can be started only after the position of concrete mixer drum is located. 4. The rotation direction of concrete mixer shaft should be in accordance with the indication on barrel. 5. Metal and other sundries in stored materials should be removed. 6. Adjust the timing of forced type concrete mixer according to mixing time. What should be noticed is that the power supply must be cut off. What are Advantages of HZS60 concrete batching plant?